The challenge was to develop a custom Wi-Fi router firmware which has special features, such as the splash page, which pops up in a time interval set by the client, and does not allow browsing connections to the Internet without acceptance. Our solution was to select a wireless router which accepted custom/open source firmware and install all functionality directly on the router so that the device was ready to be used on the client site. 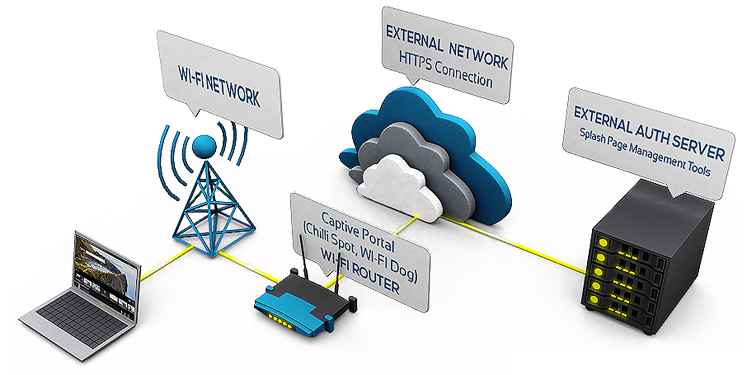 We optimized the solution to make it work with Wi-Fi connected mobile phones. The advantage of this new customized firmware is that it is can be used with a great variety of routers and embedded systems. Also, the client is able to configure web additions, a special feature with external web links, or partial pages loaded and shown.